Le Bistro du Village was established in 1997 by husband and wife team Mustapha and Donna Snoussi. They had just relocated to Baltimore after living in Paris, France and began their first business by opening an upscale kiosk in the outside atrium of The Village of Cross Keys where they sold crêpes, panini, salads and more. The business was a success and they had acquired the clientele needed which would later support them in the opening of their Mt. Washington restaurant in 2000. The restaurant has expanded with the opening of an all year round heated terrace. 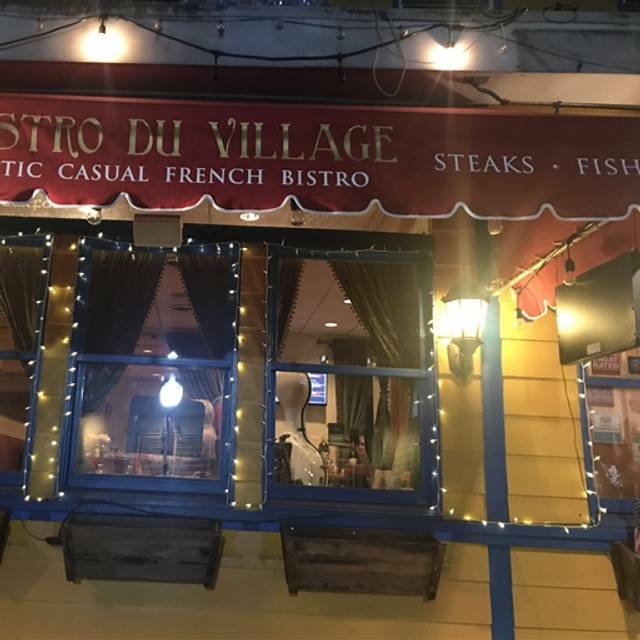 Le Bistro Du Village has been part of the "Zagat" restaurant guide since 2003 where they describe dining on the terrace on a long summer evening as "almost feeling like Paris". The owner is often present to greet the guests and assure the quality of the food is at its best. Excellent choices from the limited holiday menu! Needed another waitress! Very disappointing - they had a fixed menu for Valentine's day without their signature French -style dishes, no other options. It was in very fine print in Open Table, like"we are offering", so I thought that it still would by my choice, not mandatory. The owner was not very welcoming, did not make any exceptions for regular customers, likely because they were booked and expected a lot of people anyhow. We are deeply sorry for the inconvenience, however our Valentine’ special menu and night was advertised a month in advance on opentable and all social media sites. We had a full dining room on Valentine’day full of very happy costumers and all aware of our special night event. We hope to see you again soon! Excellent pre fixed Vanentines day menu with a reasonable price point. As always, service was good. They decorated specially for the event, and it was very pleasant. Glad we came early though later it was packed. Quite romantic! This is a super cute location - I had high hopes. Parking was easy in a city lot a couple blocks over. Seating was cozy - I could hear every bit of our neighbors' conversation. Food was fine - my omlet was tasty, coffee was ok. My disappointment was what I thought was going to be a Creme Brulee crepe was actually just Creme Brulee. Our server said people make that mistake all the time and that the menu is confusing - but he didn't say anything when I placed my order. I had high hopes for this cute little restaurant, but it didn't come thru. Yes! It is consistently first rate in all important areas! This is my favorite restaurant! The chef is creative yet the quality is always best. The service is unobtrusive. Cozy atmosphere. I have eaten here before and previously had wonderful service. I am not sure if there is a new owner (who may have been our waiter) or the waiter was just having a very bad day. Our party of six was greeted with grunts and groans from the waiter. When one member of the party began their order, the waiter abruptly (and really quite rudely) said, "We are out of that!" He did not offer an alternative. We were not shown the restaurant week menu (although we probably would have ordered the way we did anyhow). Our food was good but the plates did not look very enticing. 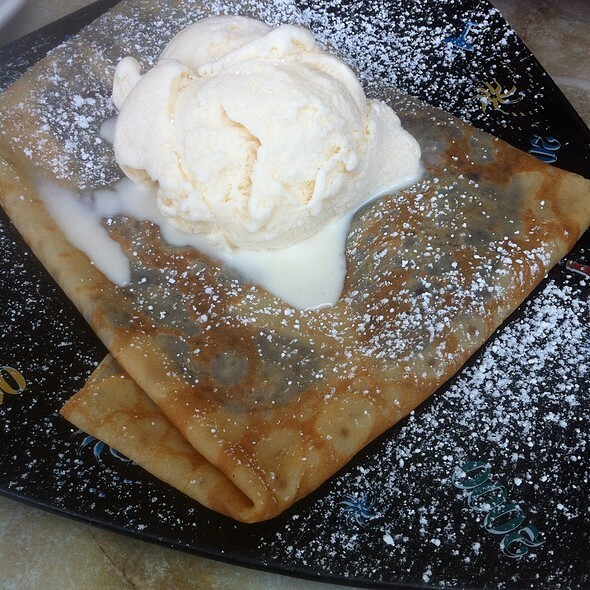 I had the Crepe Parisiene and that is all I got. There was no garnish on the plate, no little salad accompanying it, no strawberry or other fruit next to it. I am hoping that this was just a really off day because this is a restaurant I have always enjoyed! Went for dinner during restaurant week. The staff is very nice, nice ambiance and tasty food! Worth a visit. The food and service was amazing. We got the duck and salmon and would love to have it again! Definitely recommend. Creating a reservation from the web page was easy. The staff answered all questions related to our party of 14. During Restaurant Week the special menu had delicious choices. The staff was very attentive to our group. Excellent service. I would go back without hesitation. The food was exceptionally awesome. Authentic french cuisine that we tried during restaurant week. Host who was the owner also was very friendly. The bathroom lock did not work. Cleanliness and ambience can be improved. Tables were too close for comfort with other guests, background music helped once turned on. Standard French cuisine...don't expect anything cutting edge or out of the ordinary. A safe if not spectacular choice. Order bronzini in parchment. Crepe Suzettes for the finish. We had a lot of questions due to the special Prix fix menu. All were answered and the staff filled a special request by my wife. Excellent food, well presented and a nice group of people cooking and serving. 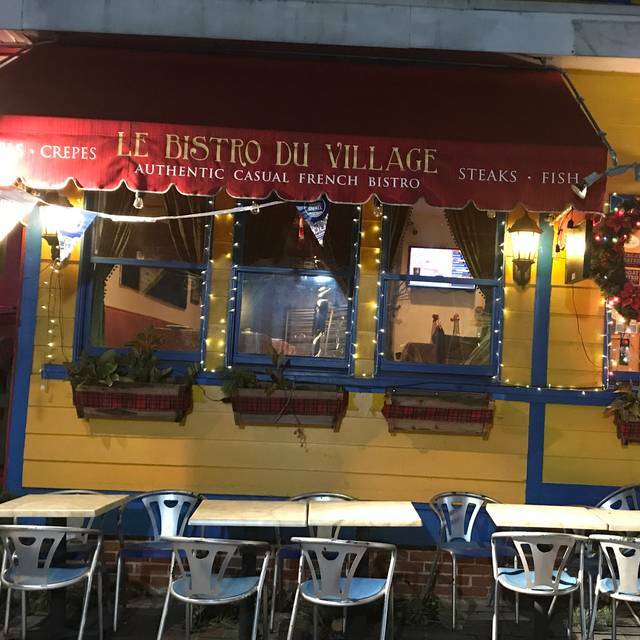 Consistency is key in a good restaurant, and Le Bistro du Village never fails to perform. We had the duck special and the salmon special for dinner. They were excellent! Our server was knowledgeable, kind, and gave a great wine recommendation for each dish. 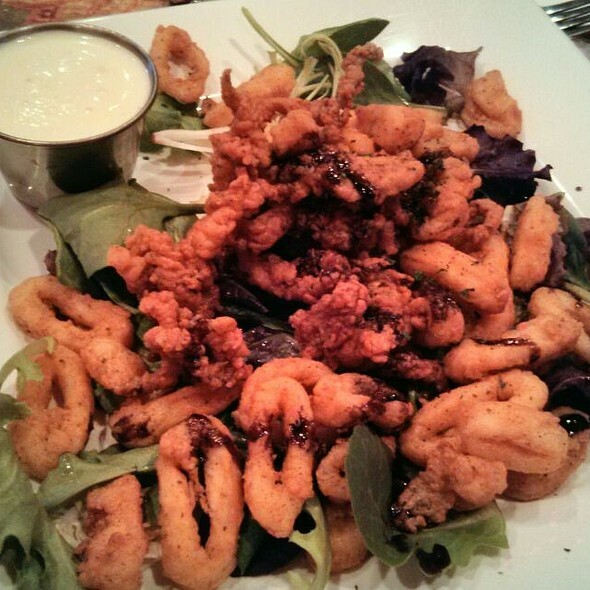 We highly recommend this hidden gem! Here's the best: a big tomato stuffedwith warm goat cheese and fresh spinach, topped with big lumps of good crabmeat: wow! I'd come back to have that and another appetiser as my meal. Also really good was the crepe suzette. Entrees not so much: my tagliatelle provencale had overcooked pasta and seafood, and the sauce was just blah and did not taste freshly made. The duck two ways: each way was more fat than meat. advice to the kitchen: if you pierce the skin of the breast meat before cooking it, some of the fat will drain off. The food is overpriced for the quality. Wine selection by the glass is excellent. There was only one person as wait staff and cook, so service was uneven and slow. However the food was delicious. 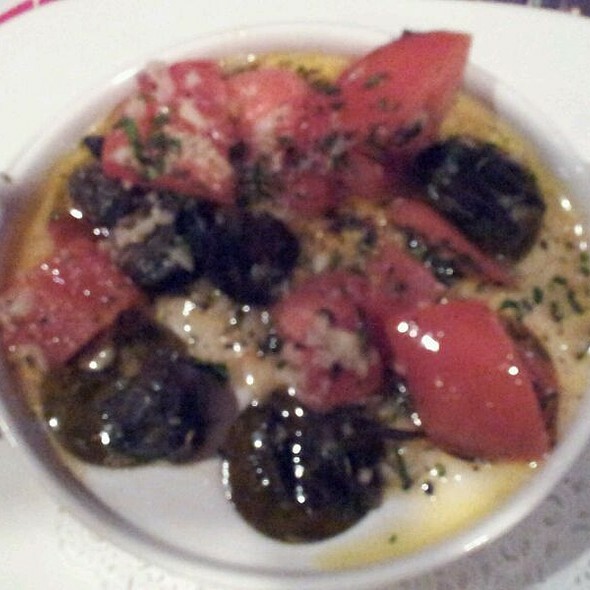 The escargots were completely draining in garlic, to the point of almost being inedible. Service was rushed, we were given our entrees before we were even half way through our appetizers. The server was clearing plates while I was still eating. It was not the relaxing evening I had hoped for. I would not return. Excellent in every way, as always! We always look forward to eating at this lovely spot. The food was good quality. Where it fell down was that my nice salad had chicken added. And the chicken slices had been grilled after the meat was cooked. Each nice strip was hard and dry, ruined in the overcooking. Leaving it cold would have been fine. Nice late breakfast with the business associates: pleasant ambiance, tasty crepes. The only blemish was weak American coffee. Love the authenticity of the place and interesting combinations of the savory crepes fillings. Cozy and welcoming neighborhood gem! Mussels were very good. Special was duck breast that was 60% fat. Entrees were underwhelming and dessert was average. Coffee out lukewarm with coffee grounds. It was enjoyable. Food was good. 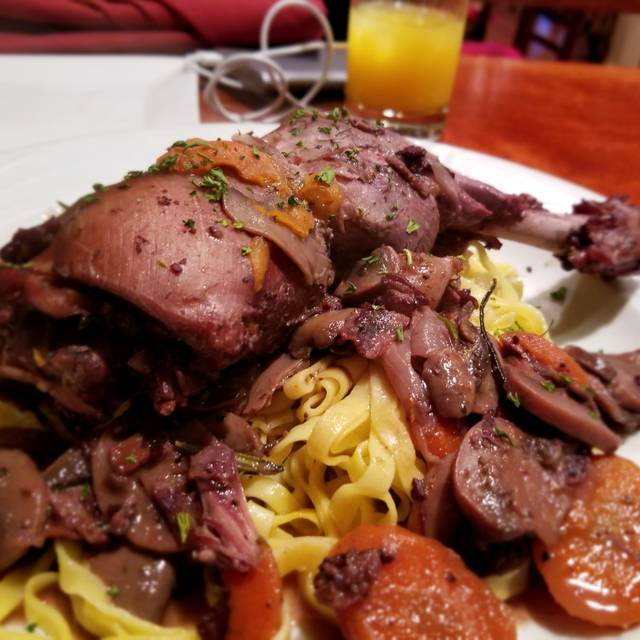 A nice local French bistro, with great food, good wine, and an informal atmosphere. Very authentic and relaxed. Unusual to find a neighborhood eatery this good. Our meal at Le Bistro du Village was superb-cannot recommend the Crepe Marie Antoinette enough! 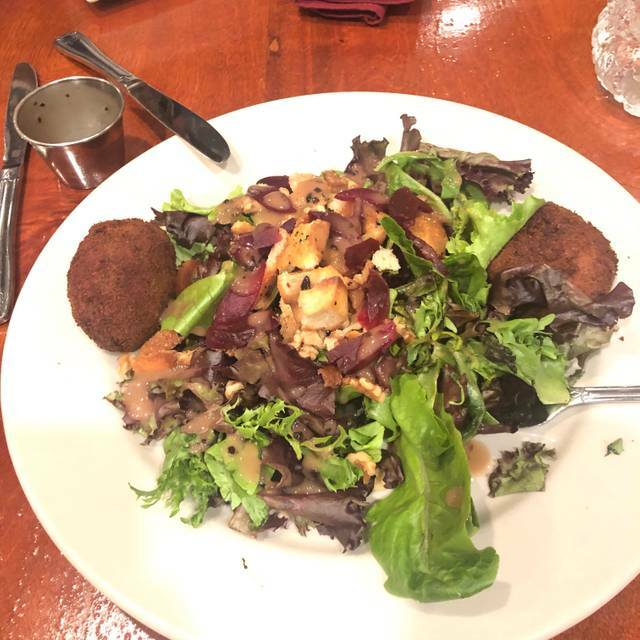 Great food, friendly atmosphere, a real Mount Washington gem! This is truly a Baltimore gem! The French influenced food is very well prepared. My steak was exactly the right temperature. The escargot's were lovely with crusty French bread for dipping. My husband and I shared a crepe suzette for dessert which was perfect. The restaurant is small, quaint, reminiscent of little bistros in Paris -- it was just right for my husband and I to celebrate our wedding anniversary. Also, parking for the bistro is very easy! I had the pleasure of dining here to celebrate my birthday. There were many delectable items on the menu plus four specials. You could choose fish, seafood, chicken, lamb and steak. My husband was wowed by the best French Onion Soup he (and daughter) said they have even tasted. He was exuberant over the hamburger. (I didn’t even get a bite.) The calamari with tomato marinara were exceptional as were the hangar steak, rib eye special, frites and potato gratin. The mussels were cooked to perfection and paired with chunky butter garlic bread. I was tempted to upend the bowl of broth and finish it to the last drop. We eat out too much - usually $$$- and we all agreed that their food had to ranked as some of the best we have ever tasted. This is real French food- kudos to the chef. Friends gathered on Wed 11/7 for dinner at Le Bistro du Village and we all enjoyed it immensely. All of us agreed that we needed to return. The owner was very friendly and joked with us throughout the meal. He also helped us to choose between various crepes. The French Onion soup is served piping hot. 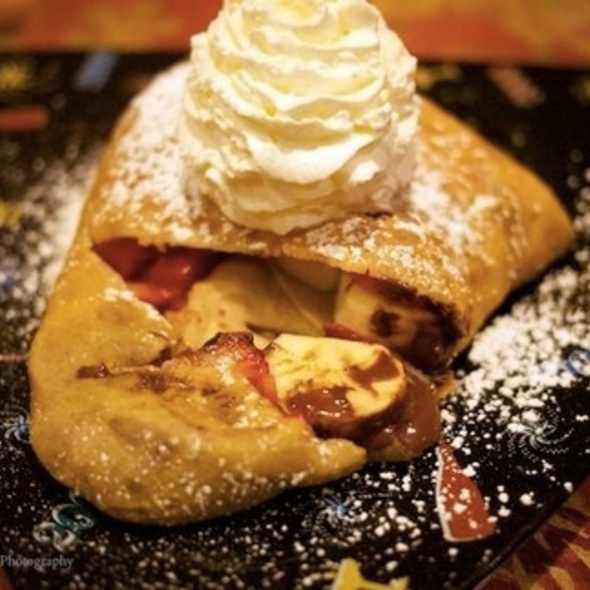 The crepes are a generous size, and so are the salads. Very fresh, very tasty!!! 5 stars!! It's a curious thing to say about a French restaurant, but they do have one of the best burgers in town! Three of our group ordered the beef bourguignon which was delicious. The fourth diner had the rib eye steak which was a large portion and perfectly grilled. The crepe desserts and creamy chocolate mousse were a perfect ending to our meal. Thank you Barbara for your wonderful review we value your business and hope will see you soon again. Each time we visit it's more heavenly than the last! Dependably first rate in all respects!! A welcome respite for us on a rainy Friday night - or any night! Thank you Leslie for your wonderful review, I value your business every time I come to work. The duck special was worth trying (the sause was a bit too sweet for my taste but the duck was indeed very well cooked). However the most disappointing was the manner the owner, or whoever that man in the sweater was, took over the wine bottle opening from the waiter of one of the tables. So rude and demeaning. That waiter never came back, either left for the night or forever.